SPW035735 SCOTLAND (1931). 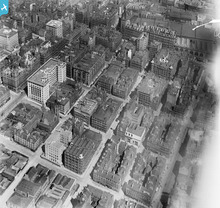 Glasgow, general view, showing Waterloo Street and West Campbell Street. An oblique aerial photograph taken facing east. Title [SPW035735] Glasgow, general view, showing Waterloo Street and West Campbell Street. An oblique aerial photograph taken facing east. Charles Rennie McIntosh Building at Renfield Lane, occupied by local newspaper rag during the early part of the 20th century. The Alhambra Theatre (1910) one of the most renowned variety shows - The Five Past Eight Show included. 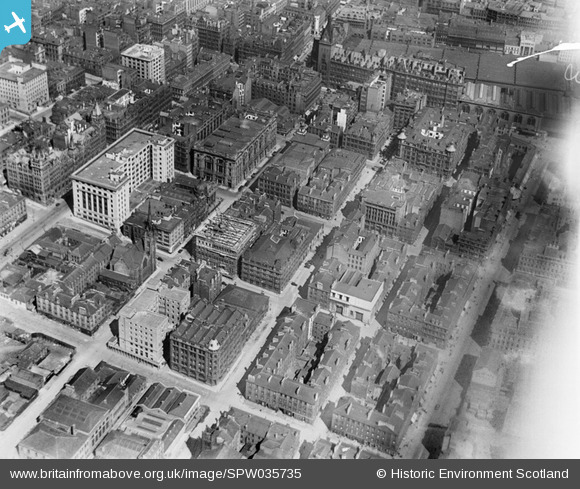 Glasgow Corporation Waterloo St Power Station, Electricity Works.